Yentafo Kruengsonge is a chain of stores in Thailand selling the Thai version of Yong Tau Foo. It now has 3 branches in Singapore, and we decided to have some Christmas lunch. It looked interesting, so we decided to give it a shot. 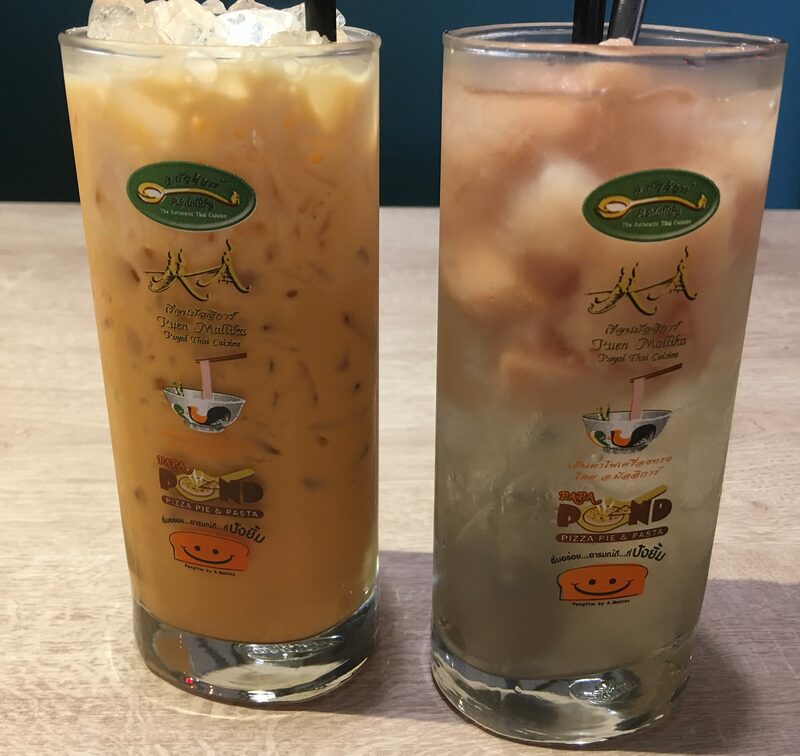 Here are the drinks with the requisite Thai Iced Tea on the left and then a Sour Plum-ish drink on the right. 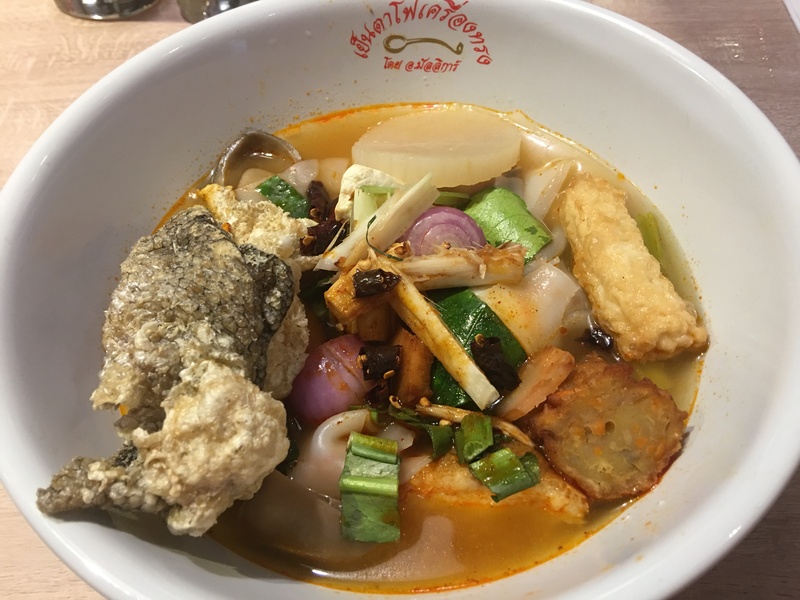 Their Yen Ta Fo is the specialty and I decided to get it with Tom Yum Soup. The Kway Teow is quite lacking, and the ingredients are ok. The Tom Yum was quite nice though. 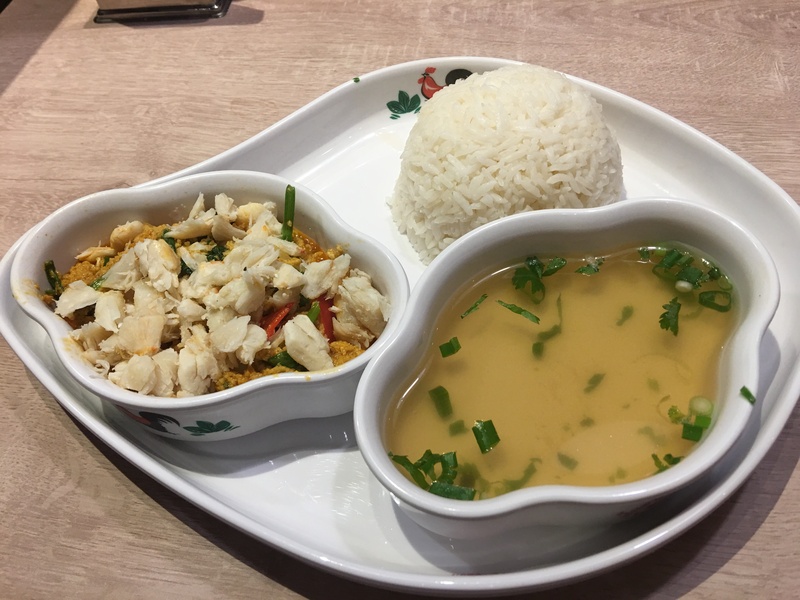 Here is the Yellow Curry Crab Rice Set. It’s also ok. The curry is not as liquid as I thought it would be, more dry and powdery. Try it once. Go back twice, not so sure. Posted in Singapore, Thai, Yong Tau FooTagged Singapore, Thai, Yong Tau FooBookmark the permalink.